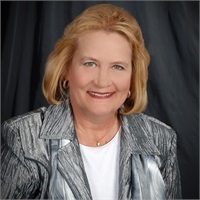 Randee Cook, CFP® | Strategic Financial Management, Inc.
As a CERTIFIED FINANCIAL PLANNERTM(CFP®), I help busy professionals balance their work lives and family lives. Proactive financial planning helps ensure that your hard work translates into achieving your financial goals for your family. Goals like: giving your children the best education possible; enjoying a 2 week family vacation every year; retiring when you want to and how you want to; and leaving a legacy for your children and grandchildren. I listen intently to you and work closely with you to create and implement a holistic, customized financial plan with strategies to help make all those dreams you have for your family come true. A good financial plan, however, is not a static document that sits on a shelf. It is an ever-evolving collection of changing assets, changing projections, and changing goals. Life happens, and in order to be successful through any means but luck, your plan must be regularly monitored, assessed and adjusted. My commitments to service and long-lasting client relationships helps ensure you stay on track. Investment Advisor Representative through LPL Financial, fee based assets under management. President of Strategic Financial Management, Inc., a Colorado State Registered Advisory firm.